Nothing can really prepare you for the small humiliations and the nagging sense of being an outsider that comes with having dark skin in North America. But I wanted to fit in; how hard could it be? I went about figuring the best way to get ahead in life, while Black. As I began to pay attention to how I was treated in comparison to others, I became mindful of myself, of my actions. It became a social dance. Or more accurately, for a kid who grew up playing Nintendo and never stopped, it became a game. And if you want to win any game, you'd best acquaint yourself with the rules. So I started to keep track of how I was doing. The first video game I ever played was Super Mario World on the Super Nintendo, and I got absorbed into that candy-coloured universe of acrobatic plumbers and deadly turtles around the same time my parents' marriage was disintegrating. I was six years old, my brother was three, and it took us a long time to make any progress in the game. Honestly, it probably took us a good year to finish a game that I can now confidently complete in under 30 minutes (#humblebrag), and the reality is that I started playing that Mario game as a normal little kid, and by the time I finally finished it I didn't have a father anymore. I haven't seen him since. What I didn't realize back then was that I had just unwillingly fulfilled a stereotype that many people were already expecting of me: I was now a Fatherless Black Child (actually, mixed-race, but this is all about how people treat you on first glance). I would now inherit every assumption and racist belief about Black people that could be attached to me, and it would continue for the rest of my life. My Mom and Grandma did their absolute best to give my brother and me all of the tools we'd need to understand our situation. I was given my own custom version of The Talk before I hit my teens. But nothing can really prepare you for the small humiliations and the nagging sense of being an outsider that comes with having dark skin in North America. But I wanted to fit in; how hard could it be? My family had moved from the American South (the phrase "dodged a bullet" is so literal it hurts), and I was a Good Kid. So I went about figuring the best way to get ahead in life, while Black. As I began to pay attention to how I was treated in comparison to others, I became mindful of myself, of my actions. It became a social dance. Or more accurately, for a kid who grew up playing Nintendo and never stopped, it became a game. And if you want to win any game, you'd best acquaint yourself with the rules. So I started to keep track of how I was doing. These invisible rules and regulations, which were at one point so unnatural, have become a part of my everyday life. They affect everything I do, to the point where I attend to them without noticing it anymore. For example: I have a different speaking style and structure when talking to white people than when I talk to anyone else. Why? Because, when I worked retail, I noticed that they were put at ease when I pitched my voice higher. I'm used to people in my neighbourhood crossing the street to avoid passing me at night, I get patted down and searched outside every club and music venue I go to, and I've been randomly checked every time I boarded an airplane in the last five years. And let's be honest; I'm blogging for a popular liberal-minded news site that I also work for. I don't have it that bad, at all. But this is the game I've been playing since I was old enough to piece the rules together. And some days, the game exhausts me. Especially after weeks like this one. So it should come as no surprise that I latched onto geek culture the way I have. Every day, I play a game where I feel I can never get ahead without the rules shifting under my feet. So the idea of a game that I can actually win, or a fictional universe that is removed from daily reminders of my place in the world, becomes a welcome form of escape. With geek culture, I can be an authority on make-believe topics and a superstar in digital worlds, because those places feel like an even playing field. The rules make sense. They want the player to ultimately succeed. This is about Ferguson. Of course it is. But others have spoken on it in more beautiful, useful, and resonant ways. However, this is my platform of choice: a column about how everything is connected to geek culture. That includes the fact that the perceived value of a Black life is close to worthless in the eyes of the powerful. The game-makers, if you will. Because this is also about Safe Spaces, and how I feel like all of mine are shrinking down to nothing. In my hobbies, in the media, and online. And I'm not alone. People like comfortable things. For every breathtaking new experience, there's a day where you watch Netflix until it checks if you're still awake (while you wear a blanket as pants). It's why the concept of home is so powerful, and the idea of a truly Safe Space is vital. We want a place to rest our heads without judgment. We want to take a second to turn our brains off and not worry about the outside world. I didn't realize what a privilege the simple act of Not Having To Worry About Anything was until I noticed how un-relaxing all of my usual downtime activities had become. As soon as the Ferguson verdict came through, I sought out comfort. I talked to my family, even though we mostly sat around in silence. I had angry, tearful phone calls with friends. But after all that, I wanted to retreat to safe spaces of my own. But it's become increasingly obvious to me that even my hobbies aren't free of reminders of how people who look like me are viewed by the world at large. The game industry as a whole, in its rush to embrace the sensibilities (and profits) of traditional Hollywood blockbusters, has also inherited a lot of the representational issues that are alive and well in the movie industry. It has been well established that games starring female characters receive less marketing dollars than those starring men (because of the assumption that a male-dominated gaming industry doesn't want to play as women). I can also direct you to this study that suggests that playing as a Black character in a video game reinforces racist attitudes towards Blacks. So it becomes a situation where, in an attempt to escape the daily game of being Black in society, I retreat into video games. And increasingly, those games immediately remind me of the perceived role of Black people in society. Lots of games (for example, the best-selling Gears of War series) have a single Black character in a much larger central cast. In the Gears series, that character is named Augustus Cole, a.k.a. Cole Train. And he happens to be a pro athlete-turned-soldier who speaks in urban catchphrases and busts out an impromptu rap song once you beat the game. And you know what? 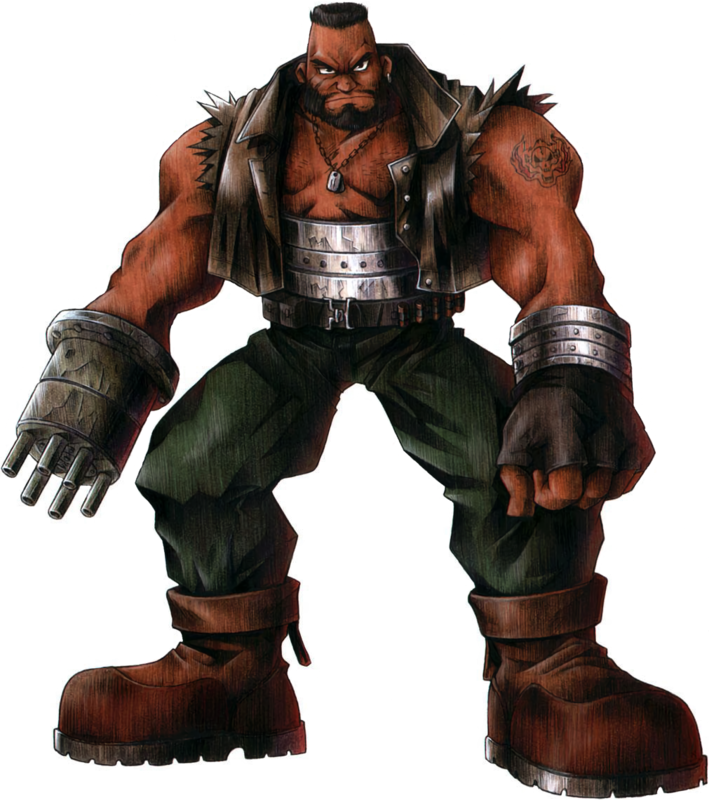 Cole Train is widely considered to be one of the better examples of Black characters in video games. And it doesn't stop with video games. Let's look at books: Do you like fantasy novels? Then, since the genre has almost universally agreed to set all of its tales in a Tolkien-esque world of European-inspired fantasy, almost every story comes with a pre-medieval approach to racial diversity. I have read stories about literal gods being reborn as simple farm boys, but dark-skinned characters are still treated as an exotic other. But let's assume that sci-fi is more your cup of tea. You can read books about mind-altering spice, robots that upgrade themselves to a higher form of consciousness, and dreaming androids. But good luck finding a dark-skinned protagonist. And it goes on and on like this, making one point extremely clear: Even in worlds where the impossible happens on a regular basis, there can't be more than a couple of central characters who look like me. To put things into perspective, here's an excellent infographic breaking down the lack of diversity in the top 100 sci-fi and fantasy films ever made. There are eight protagonists of colour on that list, and six of them are Will Smith. Try talking about this to the fans of these genres at large. Go to any convention panel, or onto any fandom message board, and start a thread about the lack of diversity and proliferation of harmful racial stereotypes across all aspects of nerd culture. You'll be met with a wall of excuses, apologism, and outright denial that these are real problems. Seemingly mild-mannered fans will emerge from the woodwork and fight tooth-and-nail to defend nonsensical racial imbalances in fictional worlds. I play this game, every day, to my own detriment. I have had to explain why Black people "are allowed to use the N-Word" to white people more times than I want to revisit. I edit and censor all of my thoughts so I don't rock the boat or ruffle any feathers. I have been told to be the CEO of my own career, while multiple people in my industry have joked about me being an Affirmative Action hire. And I've joked along with them, because it's the best way to diffuse a situation like that. So I play this game, every day. Only to be told, overtly and subtly, that the game doesn't exist, that this is a problem about SIN, not SKIN. I've been told that I'm making it all about race (I carry around a deck of Race Cards, btw), and that I'm overreacting. Every day I play the game, and every night I'm told there is no such thing. The game is unwinnable. At least, that's how it feels this week. In the film adaptation of The Hunger Games, a pretty huge emotional moment in the story revolves around the fate of a young girl named Rue. In the books, Rue came from an area that was a pretty clear reference to slavery-era plantations, and was repeatedly-described as being dark-skinned. This character detail was lost on many fans of the books, who took to Twitter in a rage upon seeing the movie and learning that a character they loved had been Black all along. The same thing happened on Game of Thrones, a book series I love despite its complete lack of notable dark-skinned characters. A handful of characters, including a well-liked side character (the pirate Salladhor Saan) were cast with Black actors, despite the books describing them as lighter-skinned. Cue another round of fan outrage, with some claiming that Saan's blonde hair was "an important plot point." It wasn't. Here's why characters like Cole Train aren't great: They're often the only character of their race in the entire story, which means an entire ethnicity needs to be represented by a single character. White males are given several characters in any given piece of media to identify with. From the comedy relief, to the love interest, to the stoic leader, it is never suggested that they can only be one thing. But if I play Gears of War, the only person who looks like I do is a rapping pro athlete. If I play Final Fantasy 7, the only person who looks like I do literally speaks jive and has a gun for a hand. It is beyond disheartening to know that the Ideal Black Person that a team of game designers could come up with is often a lazy collection of dated stereotypes. Cole wouldn't be a problem if he was shown to be part of a spectrum of Black personalities in the Gears of War universe. Instead, he's all we get. Now shut up and enjoy that he's there at all. It's devastating to be told you should be happy with what you've already got, and that's where the conversation about further diversity in all forms of media ultimately comes to rest. (Either that, or "Why don't you do it yourself?") When it comes to being a member of the geek community, I'm allowed to enjoy myself, and I'm welcome to participate. But there's always a line. At a certain point, I will always be challenged. Someone will tell me these stereotypes are just as harmful and unrealistic for white characters as well. I will drop into a Reddit thread and randomly see users calling each other "niggers" as an edgy joke; a throwback to 4chan. I always make sure to not sound Too Black while using voice chat online, because 12-year-old kids have even less qualms about throwing racial slurs my way.The message is persistent and clear: I can visit, but I cannot stay. And if I want to be happy at all, I better lower my standards. A few weeks ago, I was going to write a glowing, praise-filled blog about Marvel's movie announcements for Phase 3. 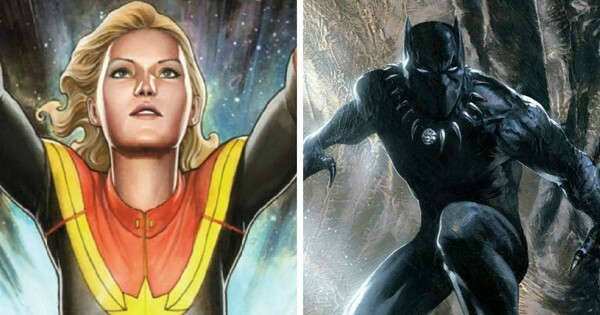 I was going to call it a Golden Age for diversity in film; we're getting major superhero movies starring both a Black man and a woman! What will Marvel think of next? And then I caught myself. Because I realized that's how low I've let the bar fall, that I was willing to do backflips across the internet because out of the 21 movies that will encompass the Marvel Cinematic Universe, two of them don't star white men. That's the ultimate, unchanging rule of my daily game, and the one that has driven me to write this. It's the feeling that I'm allowed to succeed and have nice things, so long as my plans don't bother or disturb white people in any way, shape, or form. So we're allowed to have movies starring women and Black people, because Marvel proved it could turn a profit from movies starring trees and raccoons. Zoe Saldana is allowed to star in some of the most popular sci-fi movies of the decade, as long as her skin is painted literally any colour but her natural skin tone. And we're allowed to hold peaceful protests in honour of an unarmed Black teenager killed by a police officer, but if any white people get their feelings hurt by the Facebook invite, a line has officially been crossed. After all, those are the rules of the game, no matter where you escape to. At least, that's how it feels after a week like this. Next time, we'll talk about wrestling, as long as no other heartbreaking events that clearly take precedence occur. It's All Geek To Me is a weekly column about geek culture, and how it's secretly all around you, influencing everything you do, forever. Mike Sholars is a writer, editor, Twitter guy, and he's so incredibly tired right now.